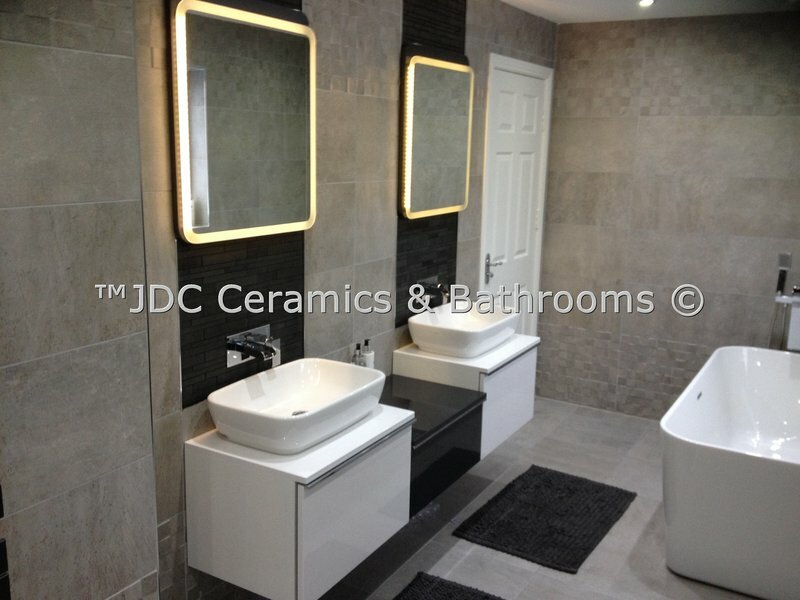 When it comes to the design and fitting or supply only of your new luxury bathroom, wetroom or kitchen, choose JDC Ceramics in Widnes, Runcorn, Warrington and the surrounding areas. 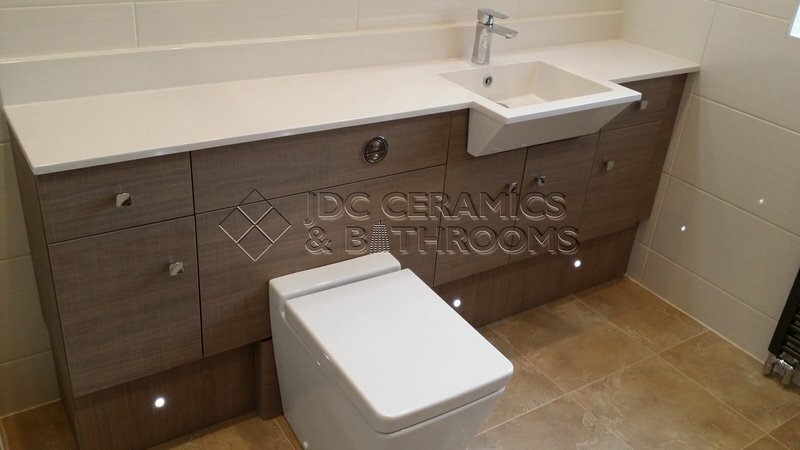 With years of experience behind us we can design, supply and fit your dream bathroom or kitchen. As well as taking your own ideas and requirements, we can give you input on the latest options for fittings and materials to give you the very best in technology and design ideas. We work with you from the initial design process though to installation and our quality staff ensure that work is carried out to schedule and with a minimum of disruption and fuss. And we’ll be here after completion to help you with any questions that arise. Through our customers we’ve built a well-deserved reputation for the highest quality work and a totally professional service. We were delighted to be voted Winners of the Customer Focus Category of the Halton Business & and Tourism Awards in 2014. Removed bidet/ toilet & cistern, washbasin / pedestal and radiator also removed a shower cubical and took a dividing wall. then stripped off all wall tiles and re-plaster boarded. 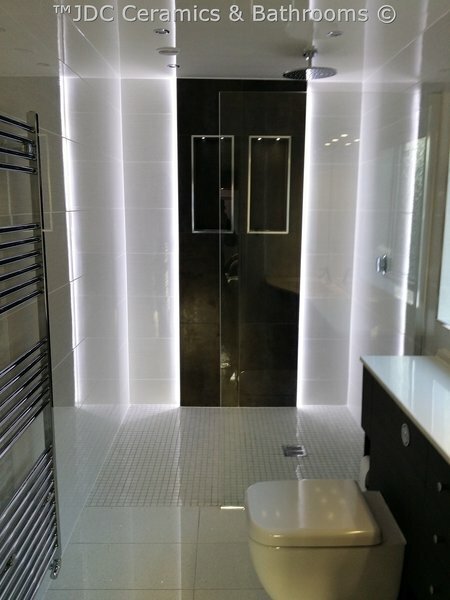 The boys then began the refurbishment with installing a new celling and LED downlighters, then tiled all walls and floor which left the bathroom furniture to be installed. The guys doing the job were great arrived on time cleaned when leaving each day. 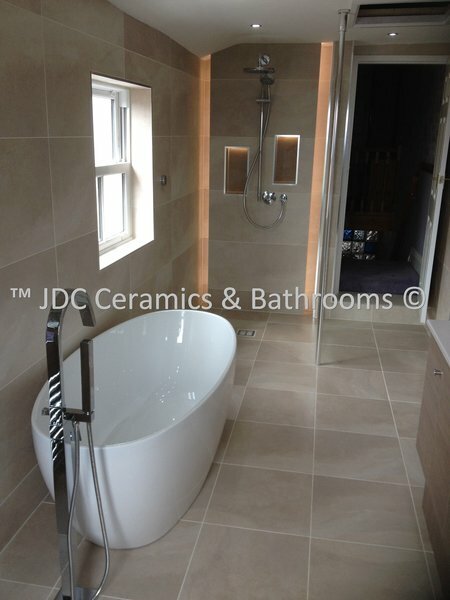 My wife and I are extremely impressed with the finished result and would certainly recommend JDC Bathrooms & Bedrooms. If you are looking for good quality products ,excellent customer service and someone to take the hassle out of the whole process then look no further. 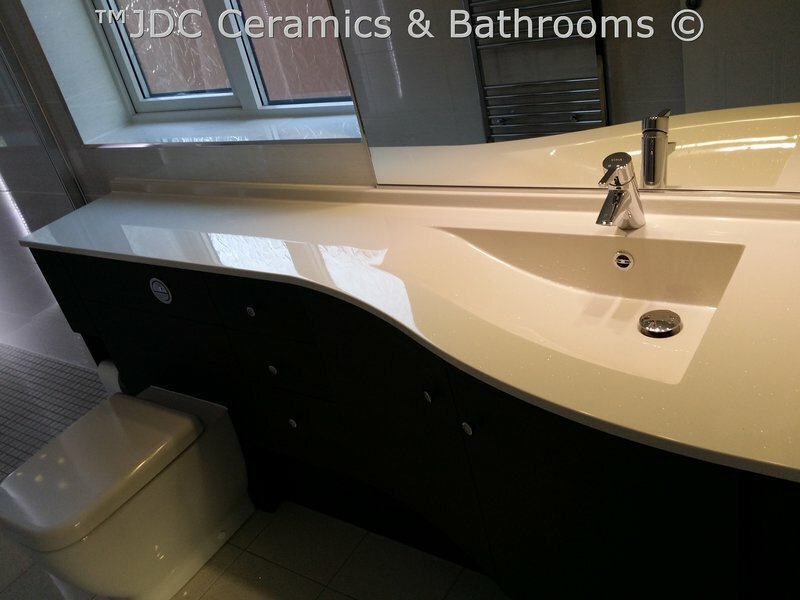 This is the second time we have chosen JDC to do work for us and would thoroughly recommend them. Jeff, Jennie and the Team do a brilliant job and the work has been completed to a very high standard. Complete refurbishment of downstairs cloakroom. Jeff and Jennie were very helpful with planning and choosing materials, Jamie and Les did an excellent job with the refurbishment, very pleased with result. First Class from start to finish!! 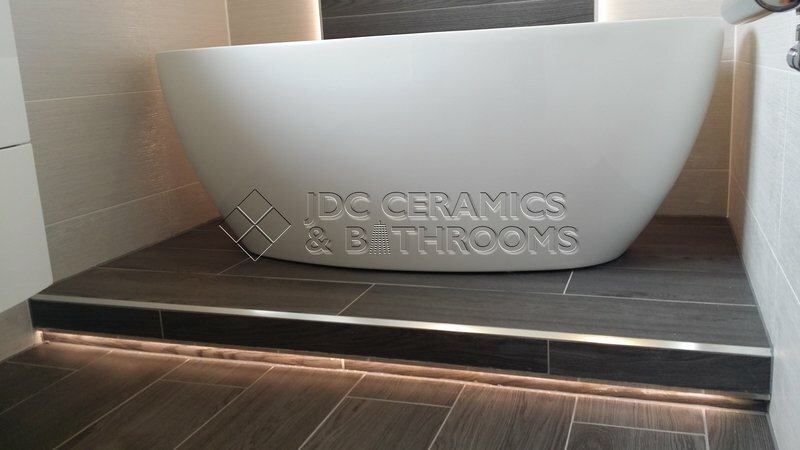 The guys at JDC delivered a highly professional job from start to finish. 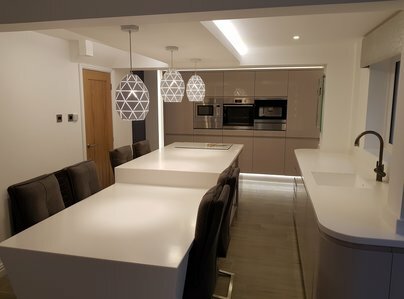 From the planning, advice and suggested ideas at the beginning, through to the quality and choice of fixtures and fittings and finally the installation, all which you just cant fault. 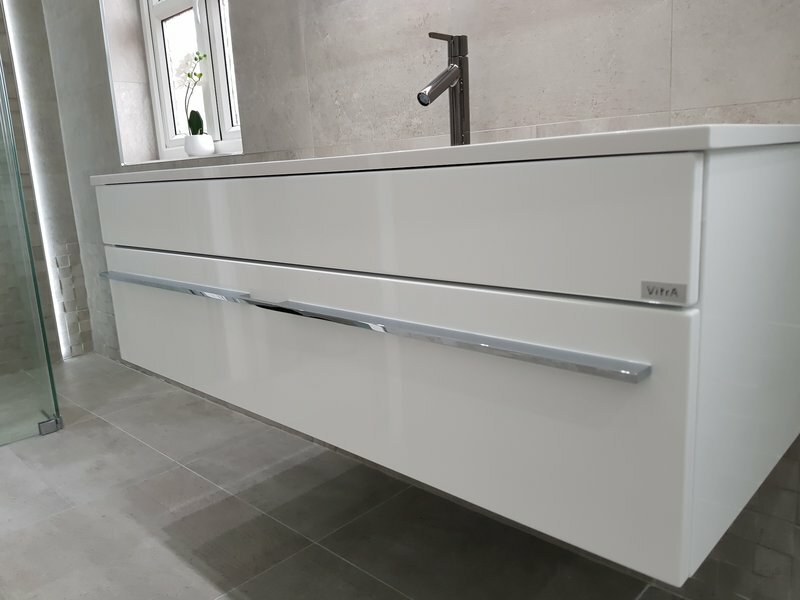 Les and fitting team were first class with a high level of workmanship and attention to detail throughout and we were kept fully up to speed at every stage. The finished article really has the wow factor! !….Certainly not cheap, but you certainly get what you pay for.....would highly recommend. Great company to deal with, very personal and professional approach, nothing was a problem for them, they exceeded our expectations. Some concerns over product quality on doors but these were replaced with no questions asked. 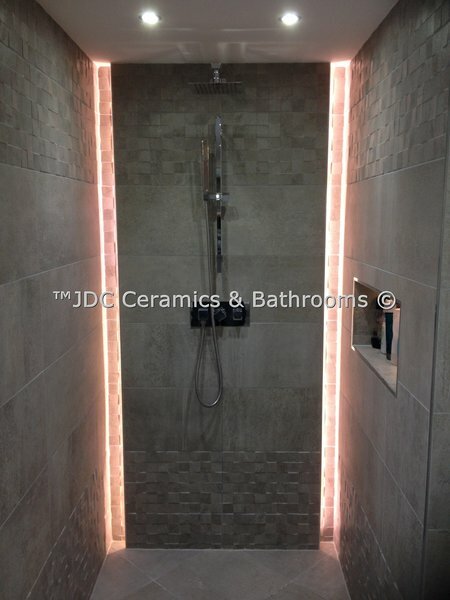 We had looked at so many different bathrooms and tiles and decided to choose JDC after reading their great reviews. We were not disappointed! Jennie helped us choose exactly what we wanted, providing a few different ideas which enhanced our finished design. Having no bathroom during the project was always going to be inconvenient, but the JDC team made sure there was as little disruption to our family life as possible. Les and Jamie worked with us on what we wanted during the installation and any issues which arose were fixed calmly and with no fuss. We are very happy with the finished product; it puts a smile on our faces every time. Everyone has commented that the quality of workmanship is outstanding. We will be returning to the JDC team for our Kitchen. 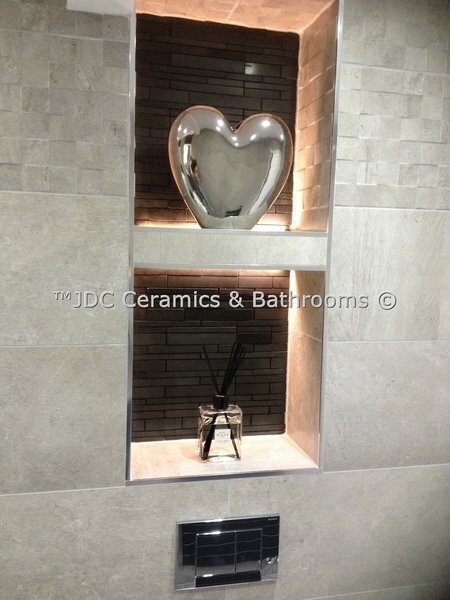 I have no hesitation in recommending JDC Ceramics. Great service from start to finish. All-round excellence. Greatly appreciated instillation teams. Thoughtfulness in staying later than necessary to ensure shower unit was sealed and ready for use next day. 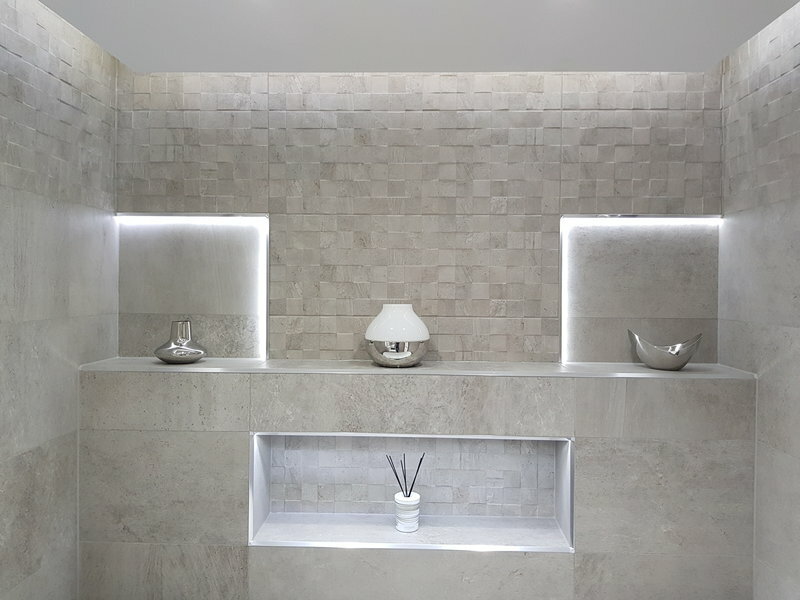 Considerate and professional, both showroom staff and installation team. Great company to deal with. Prompt, courteous, helpful, professional, conscientious.